Like you, I am grieved and in shock over the horrific shooting in Las Vegas. Thousands of people gathered for a fun evening, just like we often do here in Atlanta. Not one of those folks ever thought that they needed to wear bulletproof vests to see Jason Aldean sing a few country songs. The horror of this is that in today’s climate of hatred, bigotry, social media attacks, gross negligence of decency and evil, we are forced to now think about the possibility of this happening in any gathering in the world. My heart grieves deeply for the poor families that will now be without a loved one as a result of a man, with either deep-seated hatred and evil in his heart, or a deeply embedded mental disease. How in the world does that happen? The answer is – I truly do not know. But I do know this. We must do all we can, with all we have to love the victim’s families as we have so generously loved the victims of the recent hurricanes. I do not believe that we can change the course of weather, but we most certainly change the narrative of the American and global crisis of hatred. I don’t live in Las Vegas, but I do live in Gwinnett County Georgia where we must, with combat-ready vigilance love people, respect people, serve people and pray for people. 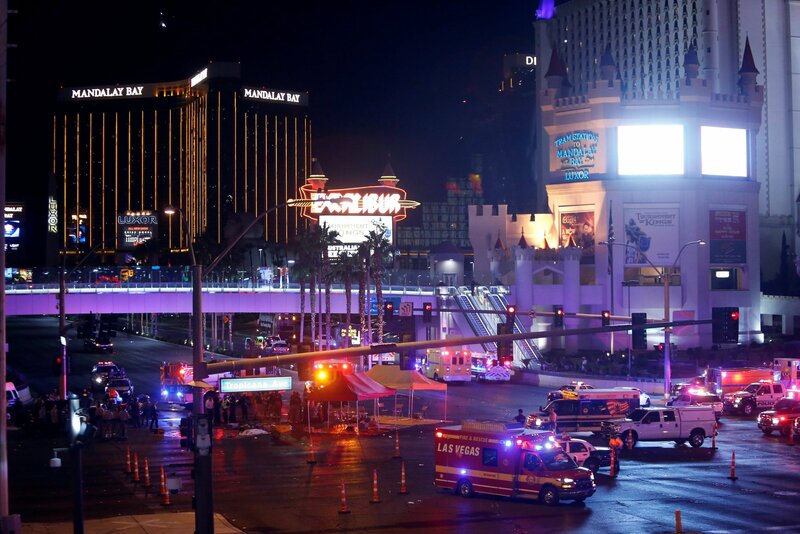 None of us know all the facts about the Vegas shooting, but I know this with great certainty: AT THE HEART OF ALL TERRORISM, EVIL IS THE MASTERMIND. That’s true of senseless shootings, the bombing of innocent people, driving vehicles into crowds, slandering people of any other faith, race, color, creed or choice AND any form of personal, religious, political or selfish BULLYING. “A generation ago, Martin Luther King Jr. faced a situation that had some parallels. The civil rights movement was hardly yet a movement as the young black preacher began his ministry. The controversy over busing had just begun in Alabama. One night when King was preaching, someone threw a bomb inside the house where his wife and infant daughter were inside. His family was unharmed, but his front window had been blown out and there was a huge hole in his porch. As he rushed home, a crowd of several hundred black people had gathered as had the mayor and the police. As Charles Duhigg tells the story (in his book, The Power of Habit), someone shoved a cop, a bottle flew through the air and a police officer waved his baton. All the ingredients for a full riot were there. The tension had been building for weeks. Well, actually, for centuries. As Duhigg notes, this was a turning point for the civil rights movement. People put down their fists and their weapons. When hate became instead, an embrace, it became a very difficult force to stop. My friend, yes I want justice! Yes, I want to rise up for something far greater than a football game. I want to rise up in a collective force of the power of Christ Himself. I want my church and millions of churches to rise up and agree that WE MUST MEET HATRED WITH LOVE! And we must love those that have experienced the searing pain of loss with compassion, love, service and all we have, with all we can.